You have function and utility with the multiple pockets, and fashion with the button down front and uncompromising fit and comfort from the design. 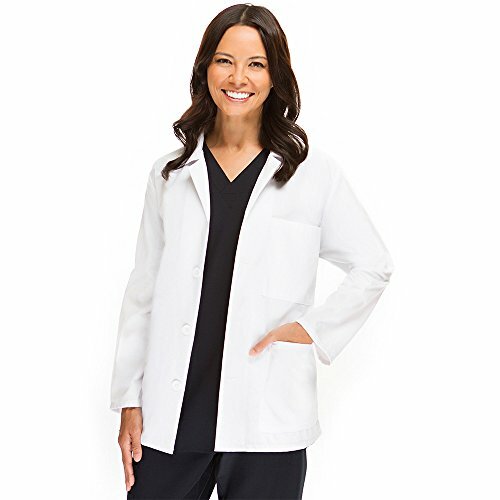 This allheart Basics Women's 29" Consultation Lab Coat matches your need for comfort and durability with your desire for style. It features a short jacket-like length for ease and comfort. Two front patch pockets one left chest pocket. Missy fit Button front closure Long sleeves One left chest pocket Two front patch pockets Soil-release 65% polyester 35% cotton Center back length: 29"
WonderLAB features superior construction in premium, soft fabric in industry white for highly functional working garments that are better by design. Superior detailing includes a modern womenÕs fit for a flattering shape, side vents, button closure, locker loop and ample storage space with large front pockets, chest pocket with pen slot, as well as an interior tablet pocket. 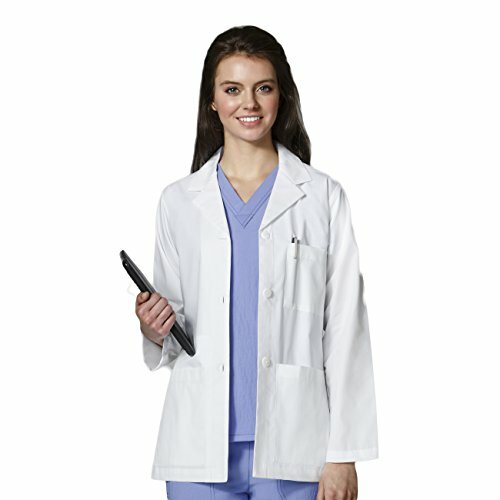 Ideal for groups, WonderLAB coats are also embroidery friendly for a professional look at the best value in the industry. Modern women's fit. Chest pocket. Pen slot. Large front pockets. White logo embroidery at pocket. Inner tablet pocket. Locker loop. Bottom vent. Size M Length: 29.5". Size Long M Length: 31.5". 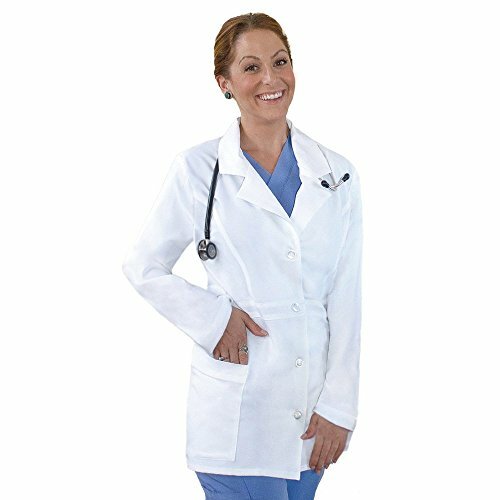 This allheart Basics Women's ¾ Sleeve 29" Lab Coat matches your need for comfort and durability with your desire for style. It features three-quarter length sleeves with a notched hem button front side vents and adjustable back tie. The neckline is cardigan style. There are front and back seams. Two roomy patch pockets feature that will hold all your essentials. 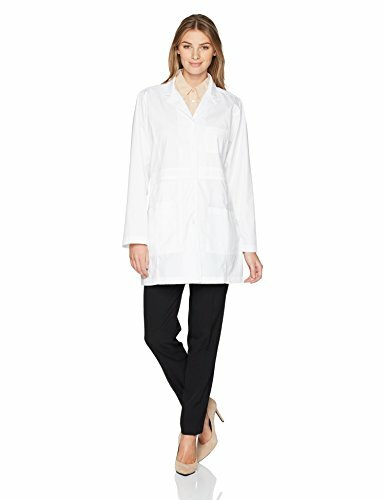 Missy fit Cardigan style Button front closure ¾ sleeves with notched cuffs Front and back princess seaming Two roomy patch pockets Adjustable back tie Side vents at hem 65% polyester 35% cotton with soil release Center back length: 29"
Basic princess-style, single-breasted womenâs lab coats feature five-button closure, mock belt, two patch pockets, one breast pocket, and set-in sleeves for an attractive look. Comfortable 80% polyester/20% cotton poplin blend. Fabric is treated with a stain release for easy care. Garment length is 100.3cm (39"). 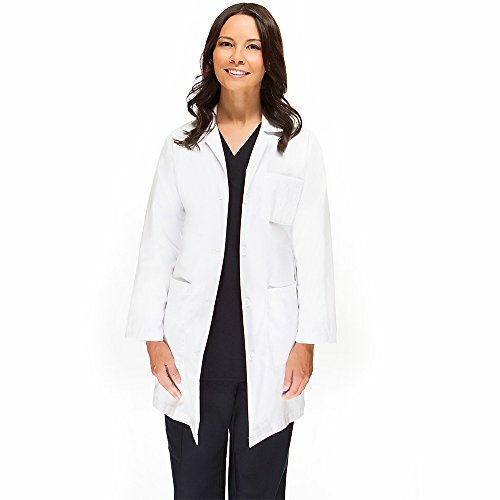 The Basics by allheart Women's Stretch 32½" Lab Coat flatters the figure while enhancing your professional appearance. Large pockets add convenience with a belted waistline for a slimming effect. Missy fit Notched collar Long sleeves Center front four button closure Front bodice princess seaming Full back princess seaming Partial belt at back waist Belt at front waist with side button detail Two front patch pockets 74% polyester 22% rayon 4% spandex soft stretch Center back length: 32½"
Looking for more Womens Basic Lab Coats similar ideas? Try to explore these searches: Wicker Loveseat Outdoor Patio, First Alert Night Lights, and Yamaha Raptor 660 Rear. 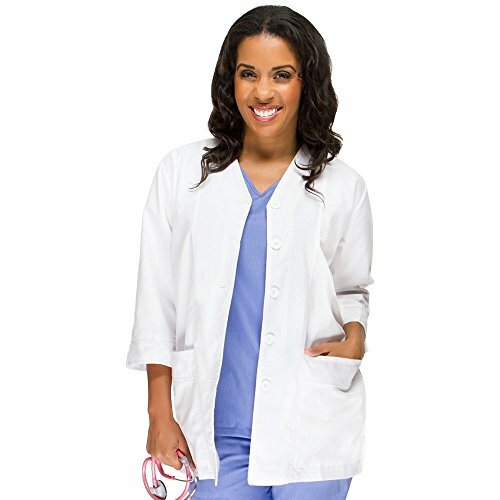 Look at latest related video about Womens Basic Lab Coats. Shopwizion.com is the smartest way for online shopping: compare prices of leading online shops for best deals around the web. 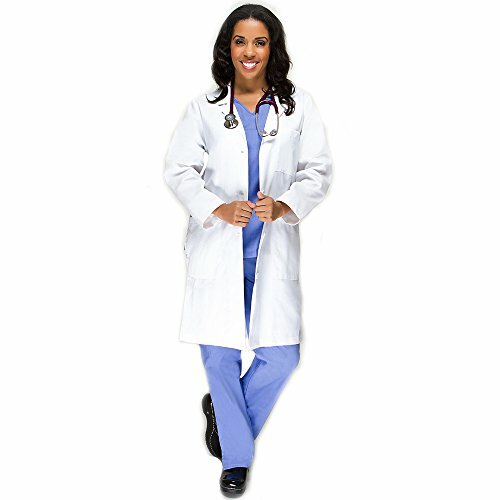 Don't miss TOP Womens Basic Lab Coats deals, updated daily.